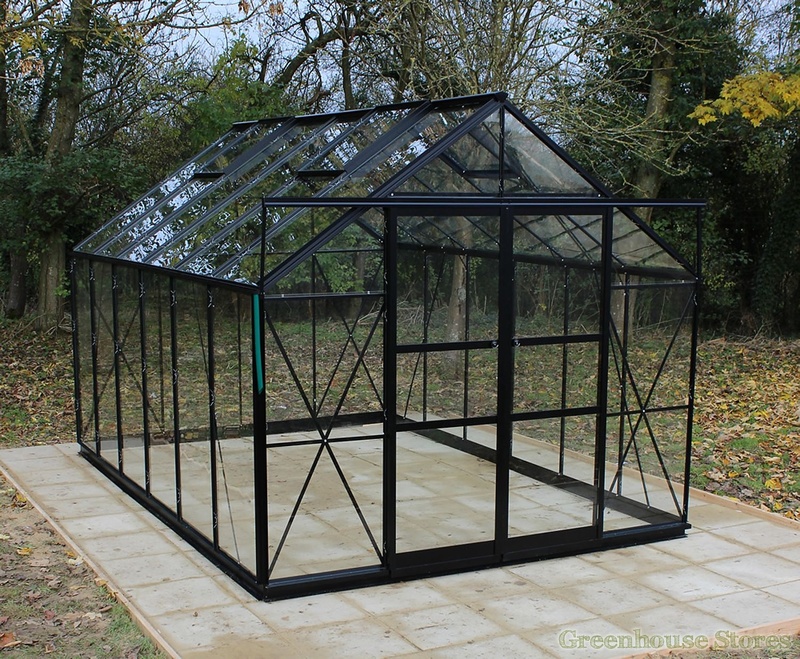 The 8x12 Eden Viscount Greenhouse is a large 8ft wide greenhouse with double doors, 4 roof vents and a built in base plinth. If you’re serious about growing this could be the greenhouse for you. The Eden Viscount 8ft x 12ft Greenhouse has an integral aluminium base plinth that will keep the greenhouse stable and rigid as well as give extra roof height. You usually pay extra for a metal base with other greenhouse manufacturers, but with Eden it’s a standard feature. 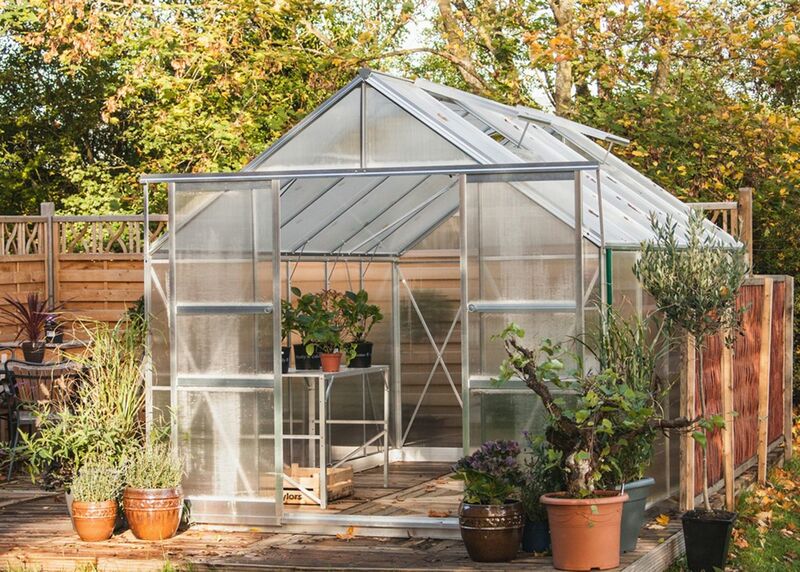 This Eden Viscount Silver 8x12 Greenhouse with 6mm polycarbonate glazing has 4 opening roof vents for ventilation, a double sliding door and integral gutters to collect rainwater. The greenhouse is delivered to your door in 3 boxes with clear and easy to follow assembly instructions. Delivery takes up to 28 days and we will call you prior to delivery to let you know which day we’d like to deliver. The Eden Viscount has been replaced by the new UK made Eden Blockley.